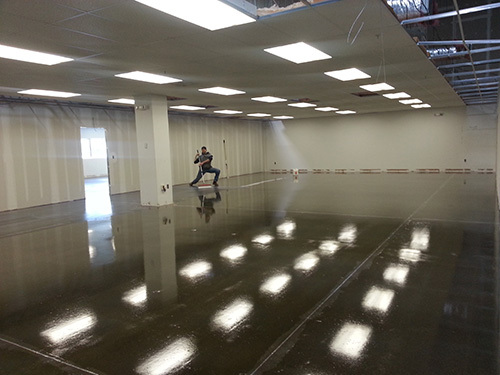 Why Choose Polished Concrete Floors for Your Business? The more information business owners learn about polished concrete floors, the more appealing this method become as a flooring option. This interest often leads people to question where they should place concrete floors within their commercial or industrial setting. The answer is quite simple. 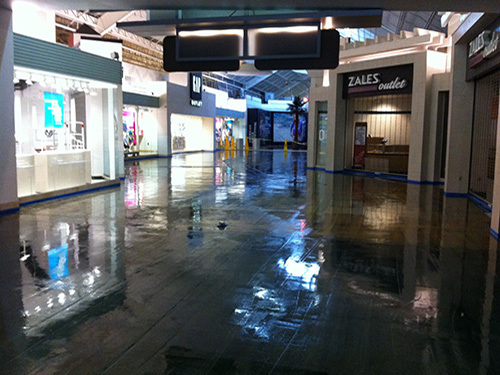 Concrete polished flooring may be used anywhere a business needs a new or replacement floor. 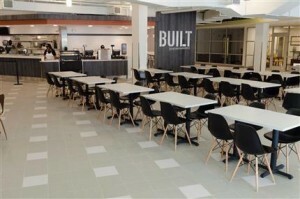 From industrial settings to office buildings, concrete floors provide a functional surface along with an artistic design that is unrivaled by other flooring materials. 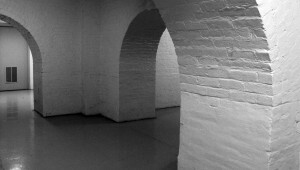 Additionally, polished concrete and epoxy floor coatings are less expensive to install and maintain. That means you won’t need to hire specialists or use employees to spend a lot of time keeping these floors clean and in good repair. The key to selecting a polished concrete floor that will work for your business operations is to turn to professional concrete experts with the experience, equipment and skillset to install concrete in a safe and effective manner within a commercial setting. 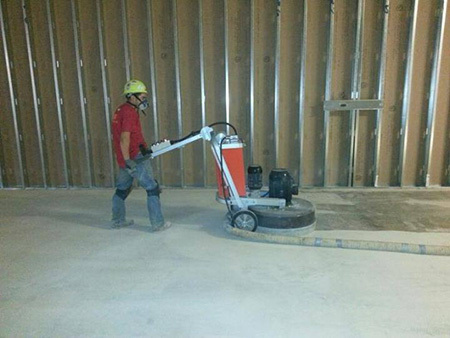 Our expert concrete polishing team here at PSI Inc. specializes in grind & seal of concrete floors with professional polishing equipment that takes the concrete surface down to your desired shine and smoothness. You may choose low or high gloss finishes with the aesthetic appeal and maintenance requirements that best fit your needs. 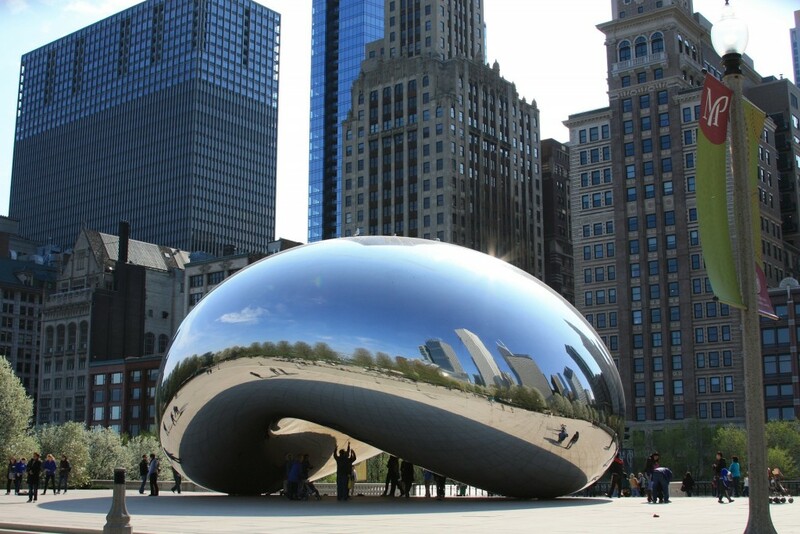 To learn more about our polished concrete services, give us a call in Chicago at (773) 938-6200 or in Florida at (239) 652-0688. You may also send us a message via our contact form here. Concrete moisture mitigation in Chicago requires several steps for successful implementation. Understanding how concrete reacts to moisture offers a better understanding of how contractors develop strategies to deal with removing moisture before, during and after a commercial project. Concrete consists of a mixture of lime, ash and water. This mix may also contain other aggregates such as sand or crushed stone. Although cement and concrete are often used interchangeably, cement is actually an ingredient of concrete mixtures. When concrete cures, it’s the chemical reaction of the basic aggregate and paste materials that causes chemicals in the gravel and ash to cross link. Effectively, these chemicals bind together like links in a chain. When hard, concrete acts similar to a sponge with many little veins (straws) that trap moisture, which eventually finds a way out. Moisture is a vapor. As concrete gets older, it tightens and squeezes the vapor through the veins (straws). That’s called moisture vapor transmission. When contractors apply carpet directly to new concrete slabs , it will get damp. Although the dampness isn’t readily apparent by touch, it is there. This moisture allows mold and bacteria to grow, and that’s why all new hospitals and medical facilities must have moisture mitigation systems. When PSI Chicago begins surface preparation, the team runs a shot blaster over the concrete slab. Shot-blasting opens the pores in the concrete by taking off the top layer. When viewed through a magnifying glass, tons of small air holes become visible. Some of these air holes are too small to view with a microscope. Once the team completes surface prep, they apply liquid epoxy as a moisture barrier in very thin layers like water over the concrete’s surface. This thin epoxy fills the tiny holes and creates a new layer. When the new layer cures, the epoxy penetration creates millions of small anchors deep into the pores while also drying to a smooth top surface that prevents moisture from pushing the epoxy off the surface. In effect, the epoxy caps moisture creating a barrier so it can no longer stay on the concrete surface. Since the moisture must go somewhere, it eventually works its way sideways or down. We install these epoxy moisture barriers to prevent migration of moisture from the slab to finish flooring. 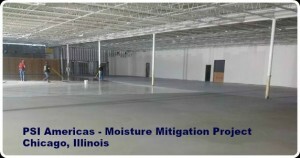 For expert moisture mitigation in Chicago, contact us at 1-877-97-LEVEL or fill at the form at right.